In April of 2017, New Covenant Church welcomed the Rev. Jeffrey T. Howard as our Interim Pastor. Pastor Jeff is coming to us from Ocean City, Maryland, where for the past two years he served First Presbyterian Church as interim pastor. Pastor Jeff has also served churches in Pocomoke City, Maryland and Eagle Rock, California. He is a graduate of Fuller Theological Seminary and has graduate degrees in Business Administration and Divinity. Pastor Jeff serves as the Moderator of New Castle Presbytery for 2018 and as a Commissioner to the 222nd General Assembly of the Presbyterian Church (U.S.A.). 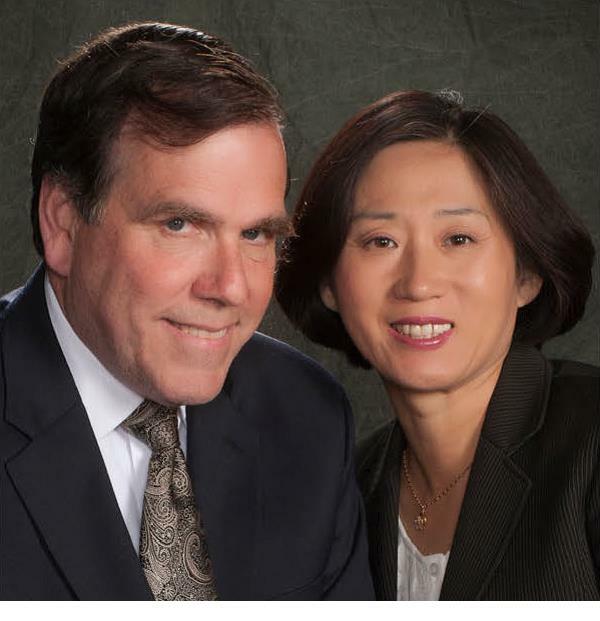 ​Pastor Jeff Howard will be accompanied by his wife, Grace. The Rev. Dr. Jeongju Grace Oh-Howard founded a church in Princess Anne, Maryland, and several campus ministries. She is a graduate of Hanil Theological Seminary in Korea and has a Doctorate degree in Multicultural Ministry from San Francisco Theological Seminary. Jeff and Grace look forward to serving New Covenant Church and the growing Middletown community. For more information about Jeff go to Facebook, /rev.jeffrey.howard.